CUBA STANDARD — While denying it is moving towards a break in diplomatic relations, the Trump administration ordered a drawdown of diplomatic staffs on both sides and issued a travel warning, making business and travel harder. Citing alleged attacks against U.S. personnel in Cuba and complaining about alleged foot-dragging by Cuban investigators, the State Department first ordered the withdrawal of 60% of employees — all “non-essential” personnel — at its own embassy in Havana, and four days later expelled the same share of staffers at the Cuban embassy in Washington, to “ensure equity”. The Trump administration will “contemplate returning personnel” only once the Cuban government guarantees the safety of U.S. staffers, a State Department official said in a background press briefing. But that may take a while, as Cuban investigators complain they are stuck in a “Mission Impossible” (see sidebar below). The State Department ordered 15 Cuban diplomats on a list handed to Ambassador José Cabañas to depart the United States within seven days, including all but one consular officer and all trade attachés. 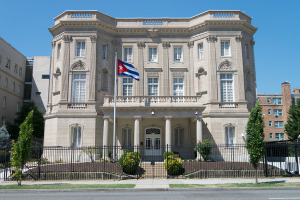 In a statement, the Cuban foreign ministry called the measure, which follows the expulsion of two Cuban diplomats in May over the same affair, “rushed”, “unfounded and unacceptable”. “The U.S. government is responsible for the present and future deterioration of relations,” said Foreign Minister Bruno Rodríguez in a press conference in Havana. The two U.S. measures effectively shut down the capacity of both embassies to process visa and passport applications, making it near-impossible for Cubans to visit relatives in the United States, and making it harder for Cuban Americans and other U.S. travelers to visit the island (see sidebar next page). The U.S. embassy in Havana stopped processing visa applications, effective immediately, suggesting Cuban citizens apply through third-country locations, which makes travel by Cubans to the United States near-impossible. 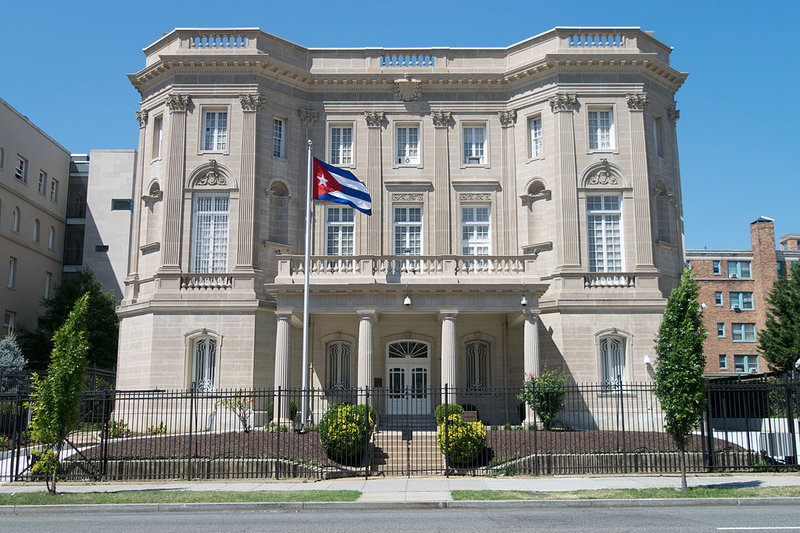 Meanwhile, the Cuban embassy in Washington will be reduced to just one consular staffer to process hundreds of thousands of applications, Rodríguez said, describing the situation of consular affairs as “extraordinarily precarious”. The State Department also ordered all business officers to leave the country, making business relations more difficult. Trump administrations officials apparently failed to consider the impact of the embassy staff drawdown on family travel. Barbara Stephenson, president of the American Foreign Service Association (AFSA), which represents the interests of 15,000 U.S. diplomats, said her Havana members are against the drawdown. During the briefing, the State Department official denied that the Trump administration is seeking a break in diplomatic relations. The official alleged that 22 persons have experienced health effects “due to the attacks”, one more since the State Department issued its last roll call. He said the 22nd alleged victim was added after he or she had reported symptoms as early as January. 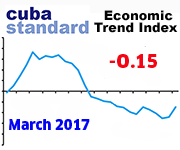 The Trump administration’s measures unleashed a torrent of criticism not only in Cuba, but also in the United States. According to the State Department, 22 embassy employees in Havana have suffered hearing loss, dizziness, headaches, fatigue, cognitive issues, and sleeplessness, but ongoing investigations are inconclusive, and they will probably remain so in the foreseeable future. “They did some bad things in Cuba. Some really bad things,” President Donald Trump told reporters on the White House South Lawn, after the State Department announced its punitive measures. Meanwhile, reporters have been unable to talk, on the record, to any of the alleged victims, whose names are not publicly known. Although Cuban officials have complained about the U.S. withholding substantial information, both a Cuban and U.S. investigation continue. In an unprecedented move, Cuba has let U.S. investigators work in the island in three instances since June, allowing them to import equipment, as a “sign of goodwill”, the Cuban foreign ministry said in a statement. Even so, making a quick resolution of the affair impossible, the State Department has held relevant information close to its chest, triggering a response by Cuban authorities that their investigators don’t know what to look for. Complicating things further, AP reported — citing half a dozen anonymous U.S. sources — that the first alleged victims were U.S. intelligence personnel spying on Cuba under the guise of diplomats. Asked by a reporter about the Cuban complaint, State Department spokeswoman Heather Nauert said during a press briefing that the U.S. government needs “to keep a tight hold on a lot of information” because “we wouldn’t want to tip off the bad guys”. According to the foreign ministry, a Cuban expert committee complained that the information provided by U.S. authorities has been “insufficient”, saying that “the main obstacle for a clarification of the incidents has been the lack of direct access to the affected persons and to the doctors who examined them”. Asked during the press briefing about the wide range of medical symptoms and their possible causes, the State Department official had no clear answer. Even though the measures — together with soon-to-be-expected new regulations that prohibit individual travel — eventually may deflate fast-growing U.S.-Cuba travel, U.S. companies say they continue to serve the Cuban market. Responsible Ethical Cuba Travel (RESPECT), an association of more than 100 companies, called the travel warning “unwarranted” and emphasized that Cuba is a safe destination U.S. travelers can legally visit. 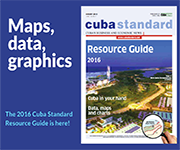 “Based on the evidence thus far and the fact that the State Department says no other U.S. citizens have been affected, we believe that its decision is unwarranted, and are continuing to organize travel to Cuba and encourage others to do so,” said Bob Guild, RESPECT co-coordinator and vice president of Marazul Charters. American Airlines and United Airlines, which are vying for additional slots to Havana, said the travel warning would not affect their current operations. JetBlue Airways said it would waive change and cancellation fees for Cuba flights booked before the travel warning. Southwest Airlines upped the ante, lowering Tampa-Havana one-way airfares, through Oct. 12, to $89. Airbnb said through a spokesman that its operations in Cuba would continue, “consistent with U.S. law”. Cruises seem to continue unaffected as well. Royal Caribbean Cruises said the travel warning does not affect their passengers, since “they do not visit hotels.” Competitor Norwegian Cruise Line said its “cruises to Havana continue to operate as scheduled” because no incidents involving tourists have been reported. 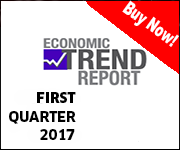 This entry was posted on Tuesday, October 3rd, 2017 at 8:40 pm	and is filed under Top Stories. You can follow any responses to this entry through the RSS 2.0 feed. Both comments and pings are currently closed.